Special Friends make our World Beautiful! share a fun project with you!! 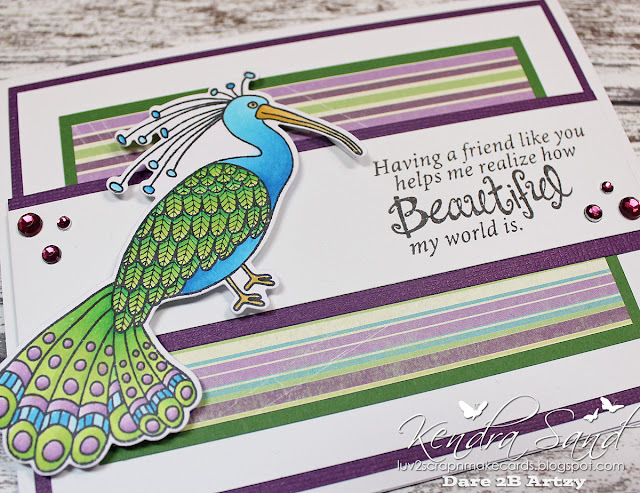 Today I am featuring the new Be Yourself stamp set!I absolutely LOVE the beautiful peacock image in this set! It was so much fun to color! I also really like the sentiment I used from the set! Such a meaningful and beautiful sentiment! Perfect for those special friends!! I used the matching Bird Dies to die cut my peacock out, no having to fuzzy cut! !